My Order Status Is Processing / Unfulfilled What Does This Mean?? What If I Received The Wrong Size? 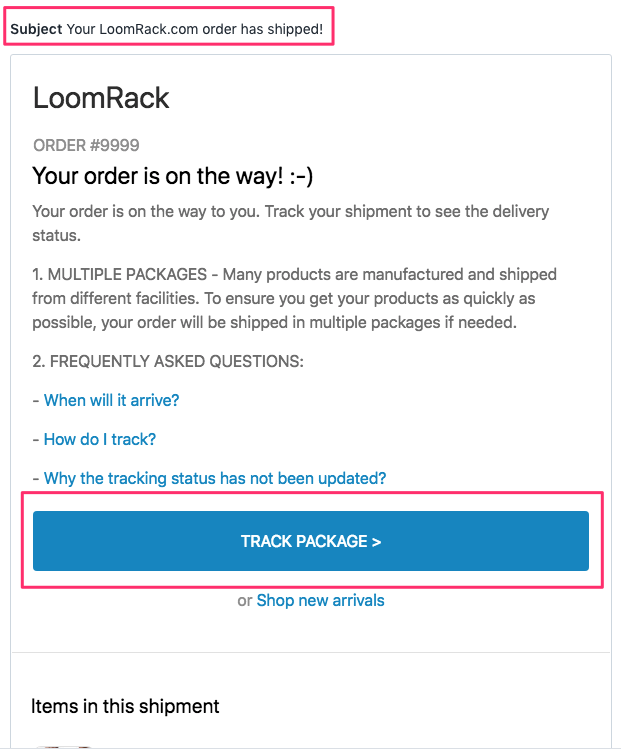 Once we ship your order you will receive an email with the subject line "Your LoomRack.com order has shipped!" Look for that email in your inbox, if you can't find it, your order may be still processing or the email has gone into your junk/spam folder. 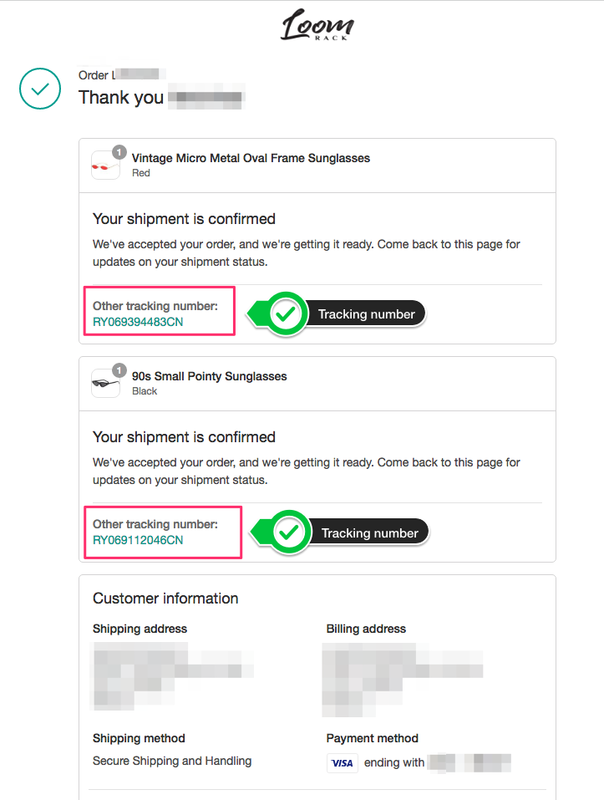 Once you find the shipment confirmation email, open it and click on "TRACK PACKAGE"
Once you click on "TRACK PACKAGE" you will be taken to the order status page where you will have access to all tracking numbers. Click on the tracking number and a new window will open with the tracking details. How Long Does It Take To Get My Stuff? Why Are There No Updates On Tracking?